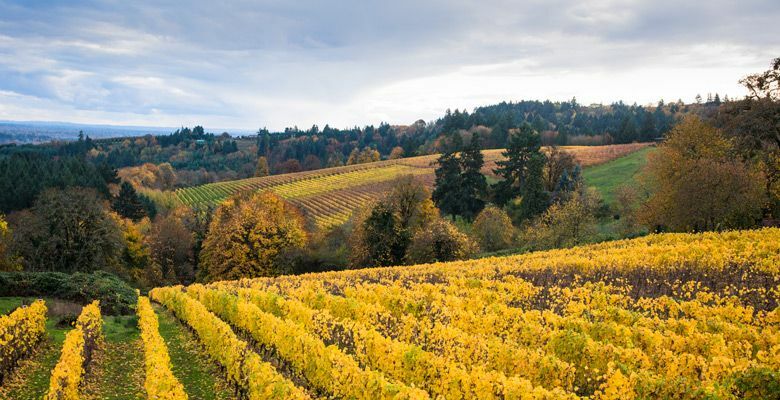 In mid-September, the Oregon Wine Board released its Oregon Vineyard and Winery Report indicating significant gains within many sectors of the industry. The annual study, conducted by the University of Oregon’s Institute for Policy Research and Engagement (IPRE), reported a gain of 44 wineries last year, compared to 24 in 2016. Grapegrowers flourished in 2017, as well, experiencing an increase from 1,052 vineyards to 1,144. The most striking growth was found in emerging wine regions along the northern border, where 18 wineries opened last year, and the Rogue Valley, boasting 13 new wineries in this Southern Oregon AVA. Buoyed by increases in direct and wholesale markets, sales swelled to $550 million in 2017, an increase of almost 4 percent from the prior year’s $529 million. Total value of production rose 14 percent, from $167 million to $192 million in 2017. The report also confirmed that the northern Willamette Valley continues to dominate the state with 73 percent of total tons crushed. This year’s study showed growth in production, echoing greater national demand for Oregon wine, as reported by Nielsen. Retail wine sales of Oregon wine for 52 weeks ending Aug. 11, 2018, rose 16 percent, compared to the wine category’s growth of 1.6 percent overall. Regarding varieties, Oregon Chardonnay trended up 10 percent in a flat segment and Oregon Pinot Noir volume rose 17 percent in a sector growing just 2 percent. Over the past three years, planted acreage increased from 28,034 to 33,631 in 2017, representing a record jump of more than 17 percent. Increases in yields occurred with Cabernet Franc, Chardonnay, Pinot Blanc and Pinot Noir; decreases included Cabernet Sauvignon, Merlot, Pinot Gris and Syrah. One of the charges of the Oregon Wine Board is to help stimulate interest in Oregon wines outside the state; beyond domestic consumption, last year’s exports showed strong internationally with overall exports of 94,351 cases, returning to levels last seen in 2014. Canadians represent the top international consumers of premium Oregon wines, with 49 percent of exported Oregon wine heading north. Japanese consumers bought 26 percent more Oregon wine compared to 2016, with imports increasing from 6,592 to 8,952 cases in 2017. Read the complete report on industry.oregonwine.org.